The world of fashion continues to evolve in different phases of development. It takes strong visionaries to mold this process, Terrance Shaw is one of them. Copa Style Magazine interviewed Mr. Shaw to get a closer look into his fashion realm. We hope you enjoy his unique story of his fashion show dynasty. Copa: Terrance, where did you grow up? Terrance: I'm a military brat, I spent my childhood in Cuba, as a teenager, Hawaii and Virginia Beach. I graduated High School in Pensacola Florida, afterwards I joined the U.S. Marine Corps and travelled the world. Copa: When did you develop and interest in fashion? Terrance: When I was 12 years old my Father brought me a GQ Magazine, and I loved fashion ever since. Terrance: Style is self expression without securities. Style is carrying yourself with a sense of pride in who you are, how you look and feel. Copa: When did you first produce your first fashion event, and where was it held? Terrance: The first fashion show was held in January of 2004 at The Paper Moon in Georgetown, Washington, DC. 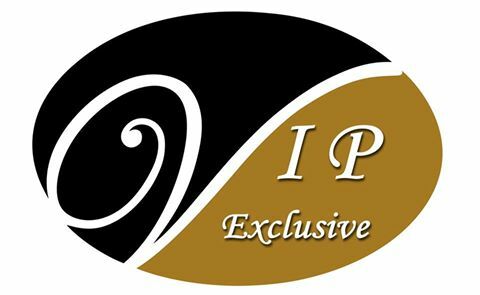 Copa: Tell us all about VIP Exclusive and how you conceived it? Terrance: VIP Exclusive was created to deliver style, luxury, and entertainment for those who love fashion. We're a fashion entertainment promotion company, and are services, including but not limited to: fashion, event planning, promotions advertising, and high end fashion shows. The name of the company "VIP Exclusive" stand as a reminder to myself to always strive to achieve above and beyond everyone's expectations. Copa: How do you choose the designers for your fashion events? Terrance: We seek out designers with creativity, class, culture and sophisticated looks in their collection. Copa: How did you develop the concept for the 777 Fashion Series? Terrance: I wanted to produce a series of fashion shows and choose the number seven for it's reputation of being a lucky number as well as it's biblical context. Copa: Do all of your fashion productions have a particular theme? Terrance: Some of the shows have themes, it all depends on who's involved in the event. If there's no theme then you can count on it being a VIP Exclusive event not to be missed. Copa: What is the message behind your upcoming Red Carpet "Diamonds and Pearls" Fashion Gala being held this weekend in Washington, DC? Terrance: This is an event of the gathering of who's who of VIP's Excusive network in Washington, DC. We often have Fashion Galas to create networking opportunities for our affiliates. Copa: Please share with us a some insight regarding your "Grand Finale" being held in the Fashion Capitol of the World, New York City, in December. Terrance: Since NYC is the fashion capitol VIP Exclusive will end the 777 fashion series there. Our final fashion show is our final fashion show of the year. We've selected several designers, models, makeup artists and hair stylists from our previous events to participate. Each year we will select participants from the 777 Fashion Series, to give the opportunity to be part of our finale fashion show in New York.